Every economic entity must present its financial information to all its stakeholders. For this presentation, it must account for all its transactions. Since economic entities are compared to understand their financial statuses, there has to be uniformity in accounting. To bring about uniformity and to account for the transactions correctly there are three Golden Rules of Accounting. These rules form the very basis of passing journal entries which in turn form the basis of accounting and bookkeeping. 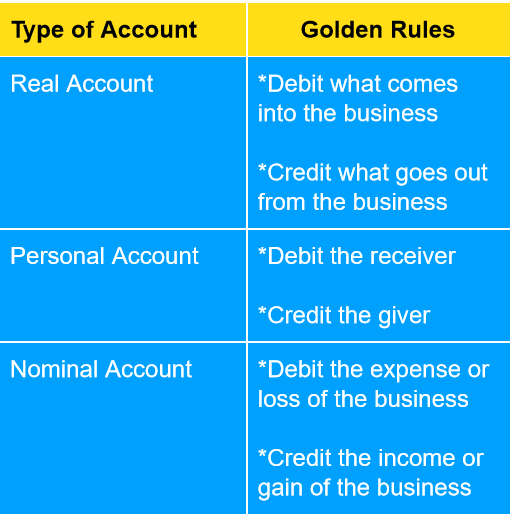 To understand the Golden Rules of Accounting we must first understand the types of accounts. A Real Account is a general ledger account relating to Assets and Liabilities other than people accounts. These are accounts that don’t close at year end and are carried forward. 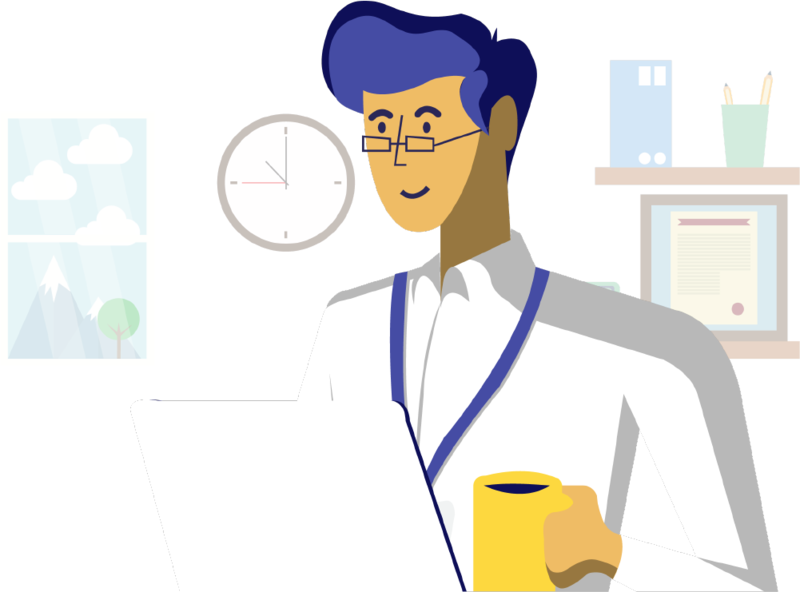 A Personal account is a General ledger account connected to all persons like individuals, firms and associations. A Nominal account is a General ledger account pertaining to all income, expenses, losses and gains. Looking at the nature of all the accounts, the accounting rules have been devised. For each account there is a set of Golden Rules and hence there are three Golden Rules of Accounting. An entity named Orange Ltd. has the following transactions. It buys goods worth Rs.50,000 from Apple Ltd. It sells goods worth Rs.35,000 to Melon Ltd. It earns Rs.3,000 as interest on bank account. Purchase goods worth Rs.50,000 from Apple Ltd. The Purchase Account is a Nominal account and the Creditors Account is a Personal account. Sale of goods worth Rs.35,000 to Melon Ltd. The sale account is a Nominal account and the Debtors Account is a Personal account. Rent is a Nominal account and Bank is a real account. Interest and Bank are Nominal account and Real Account. To summarize, all transactions of an entity must be accounted for. To account these transactions the entity must pass journal entries which will then summarize into ledgers. The journal entries are passed on basis of Golden Rules of accounting. To apply these rules one must first ascertain the type of account and then apply these rules. These are the foundation of accounting and hence are called the Golden Rules of accounting. They are like the letters of the English alphabet if one does know letters he cannot know words and hence cannot use the language. Similarly for accounting, if one does not know the golden rules, he cannot pass journal entries and hence won’t be able to know to account.